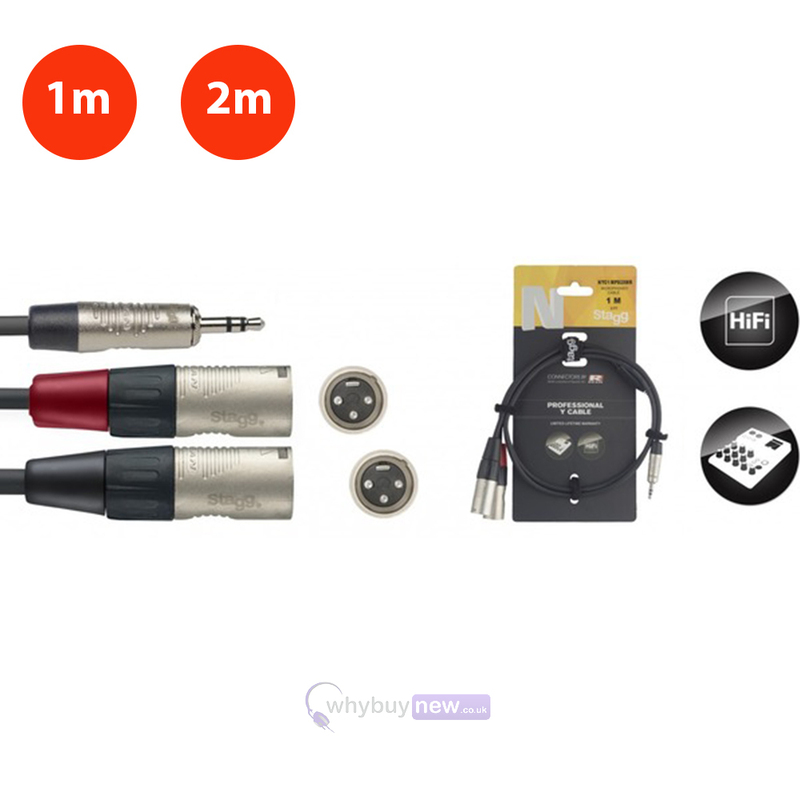 Please note that this cables comes in two different lengths - 1m and 2m - which you can choose from the drop-down list. 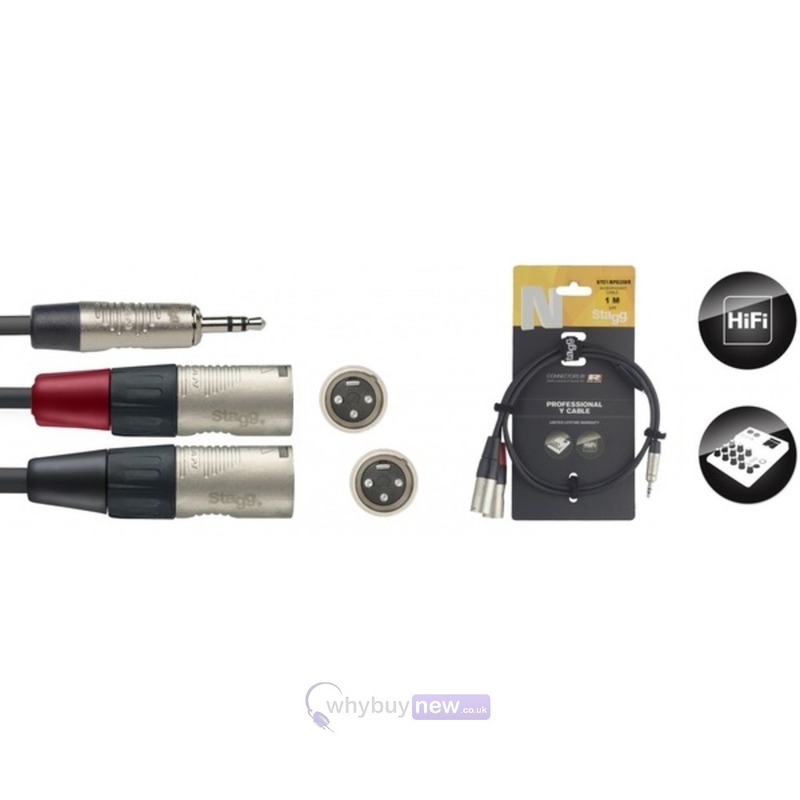 The Stagg Professional Stereo Mini 3.5mm Jack to Twin Male XLR Cable is an affordable but durable cable. 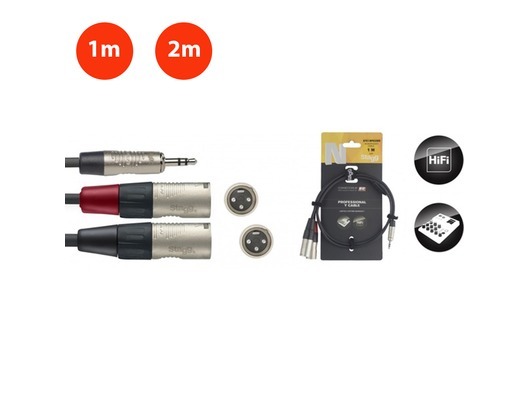 It is perfect for connecting anything with a 3.5mm jack output to any XLR input, for example a phone or iPod to speakers at an event or a microphone for home recording. It is also ROHS compliant, meaning it has passed EU standards for safe use.